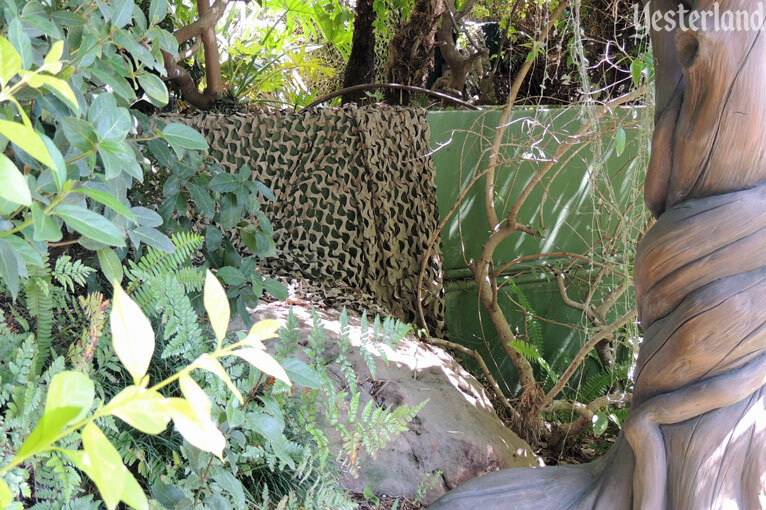 Welcome to Alpine Gardens, a quiet corner of Yesterland. Bring some food from one of the nearby counters and sit at a table under a bright yellow umbrella. Buy some postcards and stamps. Sit at a table and write to family and friends back home. It’s the next best thing for quick photo-and-text communications until smartphones are invented in the future. 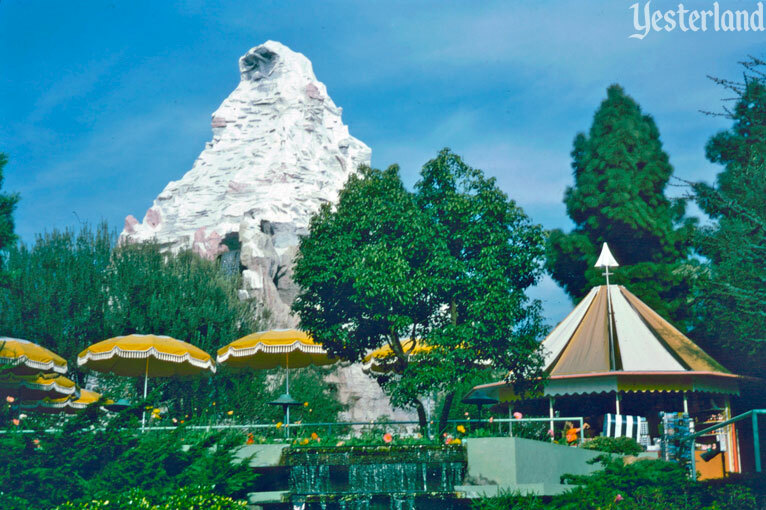 Alpine Gardens was a feature of Disneyland for almost 30 years—from 1967 to 1996. The area had previously been the site of the Monsanto House of the Future, promoting residential life surrounded by synthetic materials and innovative technology. By 1967, the vision of tomorrow from ten years earlier already seemed more like a throwback to yesterday. Its sponsor, Monsanto, opened Adventure Thru Inner Space. 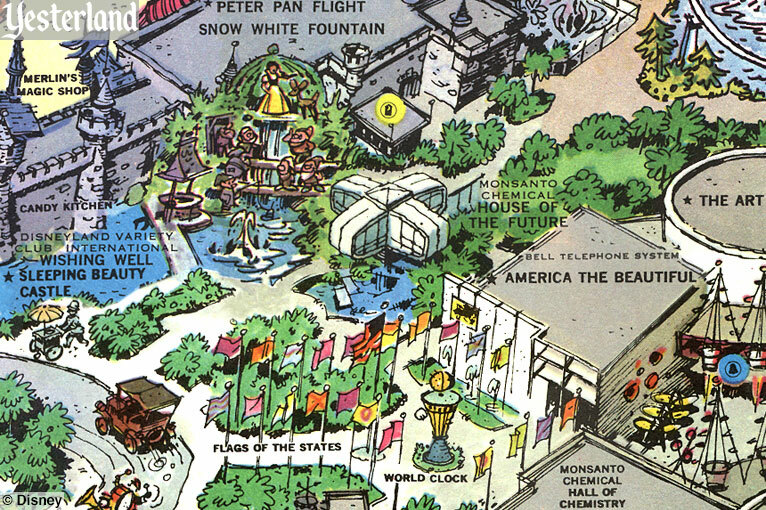 Although both Monsanto attractions would operate that summer, only one had a future. Later in 1967, the showcase house disappeared—but not the ponds, waterfalls, paths, patios, trees, and flowerbeds that surrounded it. Even the concrete foundation of the cantilevered plastic house stayed behind. 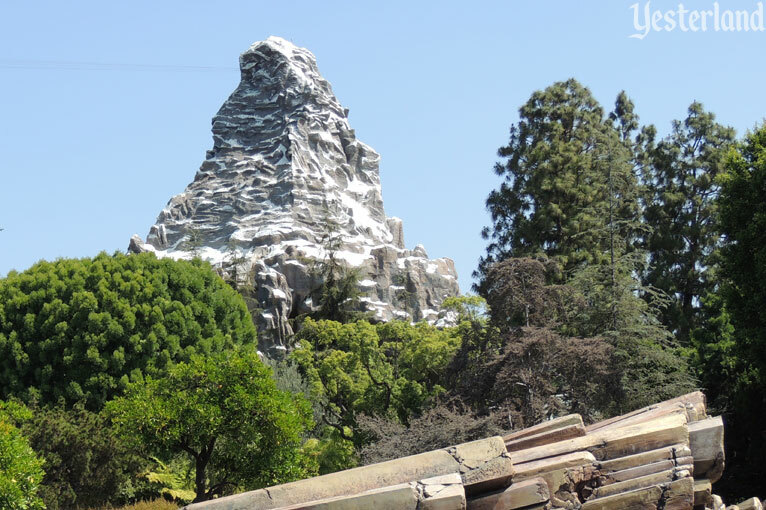 The grounds were dubbed Alpine Gardens for their proximity to the Matterhorn. 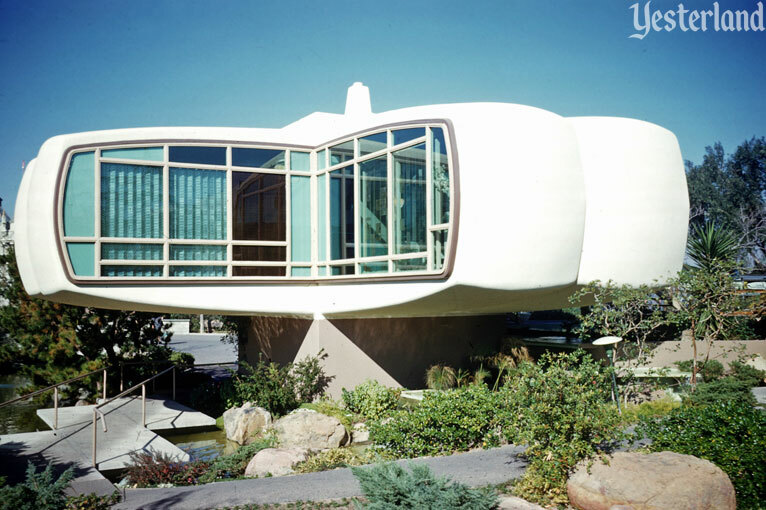 A round, canvas-topped structure from the final period of the House of the Future became an outdoor souvenir and snack counter; its name appeared on maps and souvenir guides as “Souvenirs” or “Souvenir Stand.” What a generic name for a shop! In the 1980s, the stand’s name changed to Alpine Gardens, matching its location. 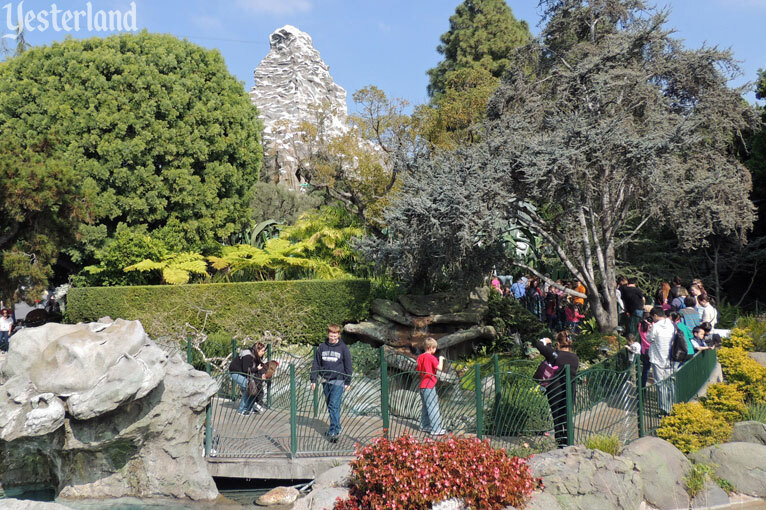 A new generation of Disneyland guests knew Alpine Gardens only as a quiet corner of Tomorrowland where very little happened. Sometimes Disney characters would visit; Snow White and the Seven Dwarfs were a good fit, given the nearby wishing well. Santa Claus might be there during the Holidays. 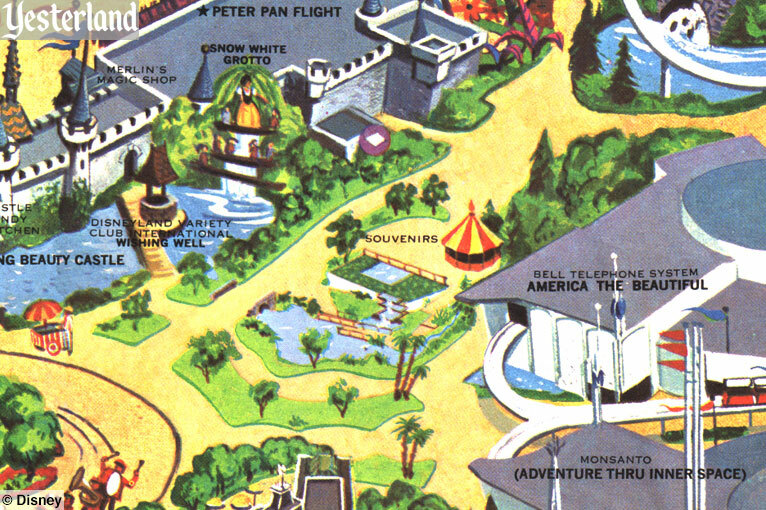 In the early 1970s, plans called for a 750-seat theater-in-the-round restaurant at Alpine Gardens. No sponsor signed on, so it was never built. Occasionally, Alpine Gardens would be used for an event, such as an appearance by Muhammad Ali to “personally sign Genuine Collector Series figurines” on July 2, 1991. 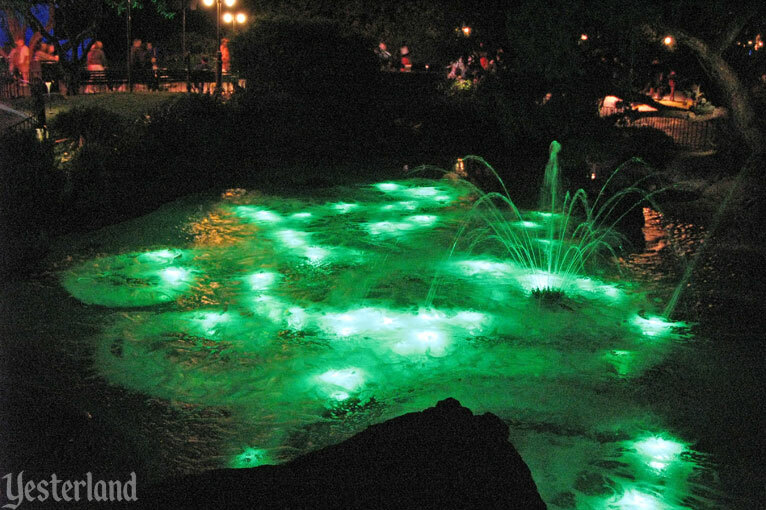 In 1996, Alpine Gardens became Triton’s Garden. The canvas-topped souvenir stand lasted until the following year, when a turntable clamshell throne for Ariel’s meet-and-greet replaced it. Yes, the concrete foundation that once supported the futuristic residence is still there. If The Walt Disney Company ever wants to bring back the House of the Future, there’s still a perfect place to put it.